BEST HOOD CLEANING offers professional restaurant hood cleaning services to all businesses in the Sacramento, California area. Over time kitchen equipment, walls, and floors can become contaminated with greasy buildup and residue. Not only is this unattractive, but it can become very unsanitary as well. BEST HOOD CLEANING can clean your kitchen equipment the right way. We can use a steam cleaning process, which will ensure your kitchen equipment is “deep cleaned” to the highest standards. BEST HOOD CLEANING uses the latest steam cleaning technology and FDA-approved chemicals. Our Sacramento hood cleaning professionals will have your commercial kitchen sparkling like new. You may ask, why such a petty requirement? Well, believe it or not, whether or not your fan has hinges can prevent many problems such as electrical wiring shortage, a rattling fan, and overall damage to the fan itself, which will result in poor functionality. Exhaust fans are made of very soft aluminum and can be damaged during the cleaning or repair process just by taking an unhinged fan off and setting it on the roof. Hinging will eliminate the need to remove the fan as it can simply be tilted back to allow complete access to your system. Our hood cleaning technicians will always treat your restaurant’s equipment with care and clean it well. We will always perform a kitchen hood system evaluation before beginning any work, and we will inform you of any code violations or potential risk factors. 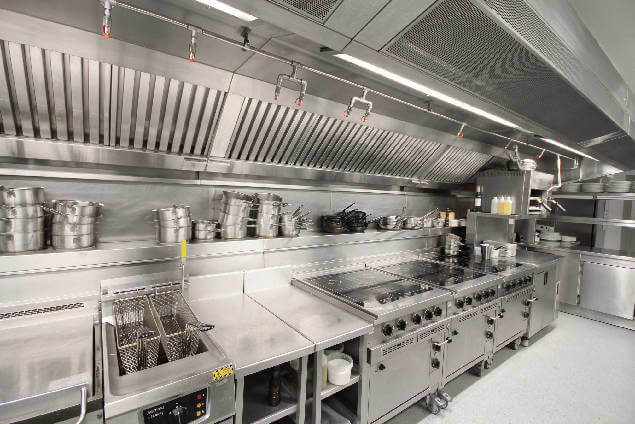 NFPA 96 also requires that commercial kitchens have access panels on ducts at every change of direction and every 12 feet. This ensures that hood cleaning technicians such as us can adequately clean the entire system. BEST HOOD CLEANING can even clean those hard-to-reach, impossible-to-see areas that typically go unseen and unnoticed. When we do a kitchen hood cleaning job, we do it the best. Exhaust fan clean out ports are also required by code. These ports are small access panels which allow complete inspection and cleaning of the exhaust fan. Fan access panels (also known as clean out ports) allow BEST HOOD CLEANING technicians to clean the back side of the fan blades. An exhaust fan without the clean out ports can result in build-up of residue on the blades which can cause the fan to become off-balance, vibrate and noisy. Such conditions will use unnecessary electricity and prematurely wear out the fan bearings and belts. 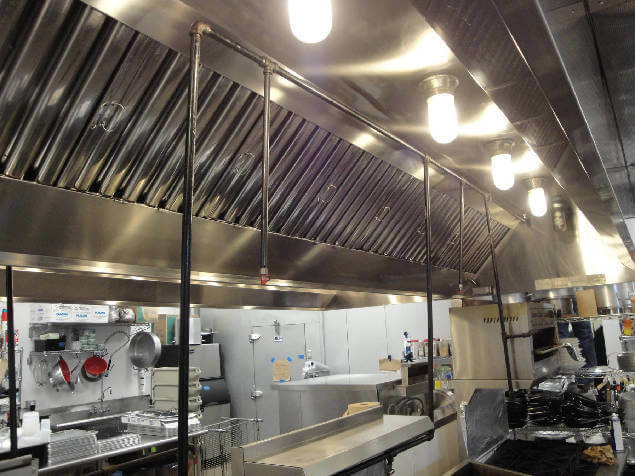 Hood filters or grease baffle filters are designed to remove the grease loaded vapors from the air before they contaminate the exhaust hood ducts. 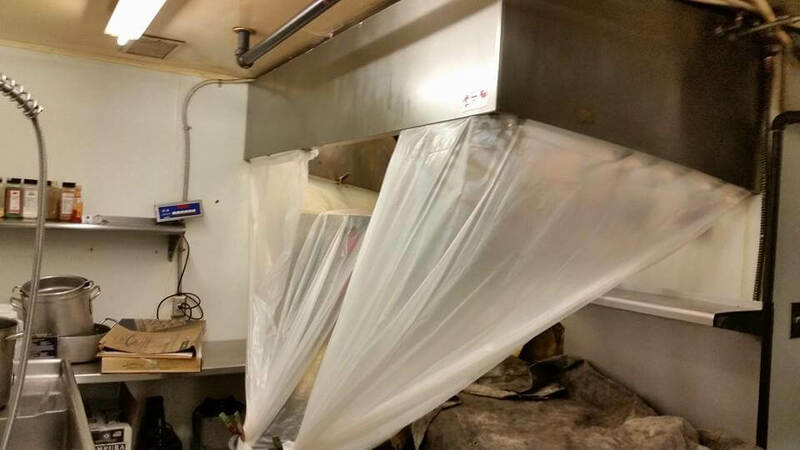 Many restaurant owners are unaware of the dangers that a poorly maintained hood filter can present. The most common danger is a grease fire, but build-up of hazardous residue is also possible. Clean your kitchen hood filters every day to keep them free of grease and maximize their filtering capability. You can run your filters through a high temperature dishwasher. However, if your filters are aluminum or galvanized we do not recommend cleaning them in the dishwasher. The chemicals used will result in corrosion. Don’t let a potential problem surprise you and understand how to tell if a filter needs replaced. Conduct regular visual inspections of your restaurant’s hood filters. Any time your filter becomes dented, corroded, or is difficult to scrub clean, it may be time to replace your hood filters. BEST HOOD CLEANING clients can purchase filters directly from us. We will measure, deliver and install the new grease baffle filters. It’s amazing what a little grease can do. Though greasy residue and build up may seem totally normal and minor, it can lead to catastrophic results. Restaurant grease and oil build up can lead to a fire hazard and/or the contamination of bacteria. Exhaust fans are designed to remove grease vapors from your kitchen, but on the flip side, most of this grease will eventually leak onto your roof. Because food grease is acidic it can cause the surface of your roof to deteriorate. These are just a few reasons why you should have your kitchen equipment cleaned and maintained on a regular basis. Another great way to prevent grease from damaging your roof is by installing rooftop grease containment on all your exhaust fans. What does that mean? An effective rooftop grease containment collects and holds the excess grease from your system while allowing rain water to drain off. A rooftop grease containment system should also include “hydrophobic” pads designed to shed water but hold onto the grease. This prevents the grease from rinsing off onto your roof, and therefore preventing corrosion. If you just have a grease box to catch the excess grease from the fan without the hydrophobic pads, the grease and rain water will still spill onto the roof. That’s why it’s so important to consult a hood installation professional. BEST HOOD CLEANING is a proud installer, cleaner and kitchen hood maintenance company that provides cost effective solutions to protect your roof from expensive repairs that are the result of rooftop grease. 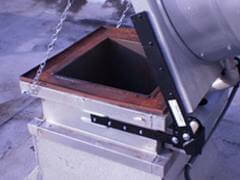 Once installed, your rooftop grease containment system will be serviced each time we clean your kitchen exhaust hoods. 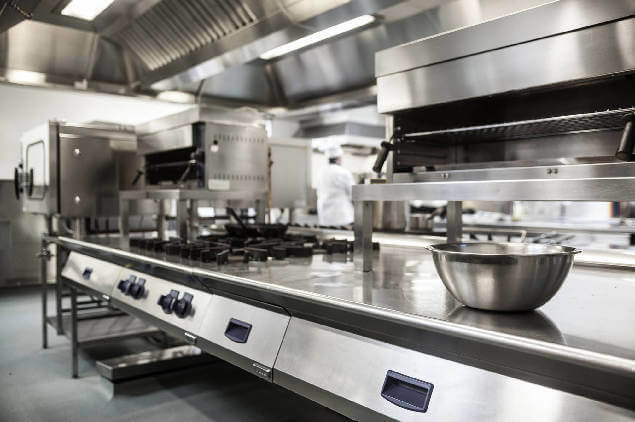 BEST HOOD CLEANING offers kitchen fire suppression installation and service to maintain your system effectively and in compliance with the local standards. 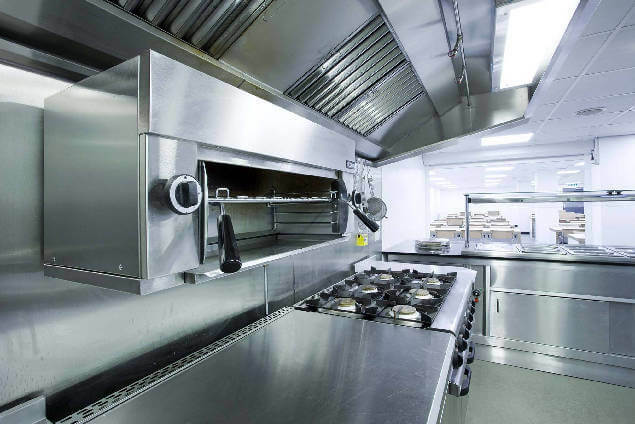 We can design, install and routinely inspect your kitchen fire suppression system. In some cases, conventional fire suppression methods can cause as much or more damage than the fire itself. BEST HOOD CLEANING offers the installation and services for special hazard suppression systems designed to detect and suppress fires in seconds. This way, your most indispensable resources are safe from fire, smoke and water damage. BEST HOOD CLEANING proudly services Sacramento for commercial kitchen cleaning and is fully insured, bonded, certified and licensed. We know the standards and expectations for running a restaurant are high. BEST HOOD CLEANING in Sacramento, California will always put our best foot forward by sending qualified trained and licensed restaurant hood technicians to maintain your kitchen equipment. Call us today to schedule an appointment at 916-347-5300.